The GKZ-45 MK3 is one of the new Wonder Weapons in Gorod Krovi zombies and it looks absolutely brilliant! 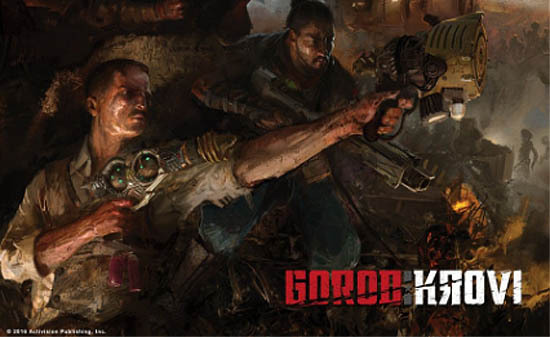 In this guide I'll show you exactly how to get the GKZ-45 MK3 for yourself, including details to explain how the gun behaves in game. Many of us knew the Mark 3 version of the Ray Gun was going to make a return in Gorod Krovi but no one expected that it would be this awesome! 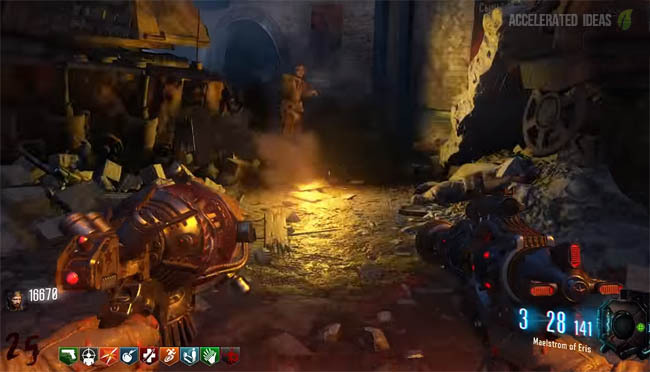 Strangely, Treyarch have changed the name of the Ray Gun slightly for this map - it's now referred to as the GKZ-45 MK3. 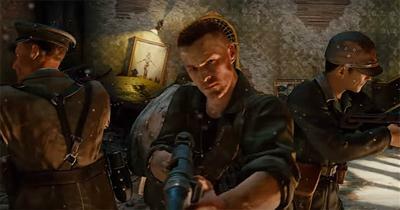 It comes in dual wield form, which we kinda knew from the trailer of Gorod Krovi. 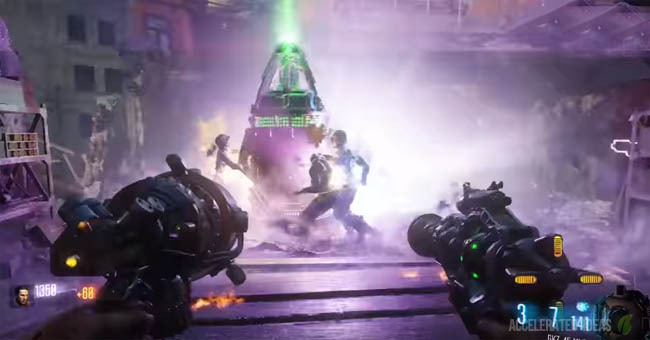 What's even clearer now is that the weapon has two very different models; a larger gun on the left which appears to be the plasma version, and a regular "Ray Gun" style gun on the right. 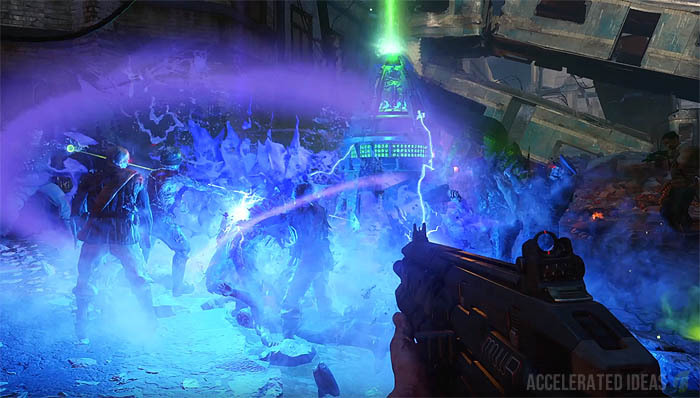 Interestingly, the left hand plasma version also looks like the one used by the Panzer zombie. The GKZ-45 MK3 is a dual wield weapon, much like the Marshall 16 in the regular game. However, it's way beyond the Marshall's level because each gun of the GKZ-45 MK3 has unique attributes, much like the alternate modes of the Skull of Nan Sapwe. The left hand pistol fires a yellow ball that sticks to the surface. Any zombies that come into contact with the ball are slowed down, just like the Nan Sapwe. Players can also shoot the yellow ball using the right gun to turn it into a black hole. This has the effect of sucking zombies into an oblivion from the surrounding area - think the Gersch device from Moon and you've got it spot on. The right hand pistol is more like a regular Ray Gun that fires individual laser shots, perfect for killing off zombies in the familiar Ray Gun fashion. Like other WW's, this weapon has a huge ammo supply (well over 150 in total) with each gun holding a different max ammo count: the left gun has 3 in the chamber whilst the right gun has 15. Players can also reload one gun at a time, meaning that if you're clever you'll never be down on ammo. Thanks to an unknown benefactor, a leaked image for the GKZ-45 MK3 was posted online, two days before the map launched. Although an absolutely awful image, we did get a clearer understanding of the name and style of this Wonder Weapon. There are no parts required to build the GKZ-45 MK3 nor any fancy Easter Egg steps. Instead, players just need to get really lucky from the mystery box to claim this WW. The MK3 is upgradeable by using the familiar Pack-a-Punch machine in the bunker. 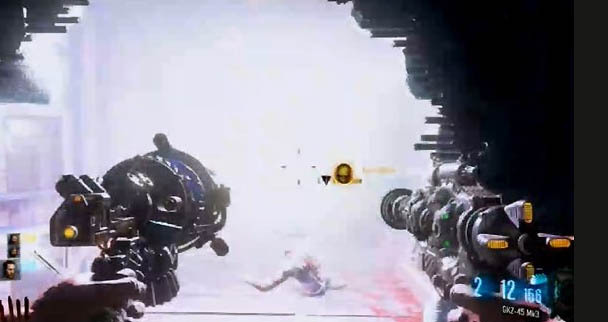 It's upgraded form is the "Maelstrom of Eris" which turns the gun a distinctive red colour and roughly speaking doubles the ammo count (5 left gun, 30 right gun). The upgraded version is also stupidly powerful, easily making it the best weapon in Gorod Krovi.